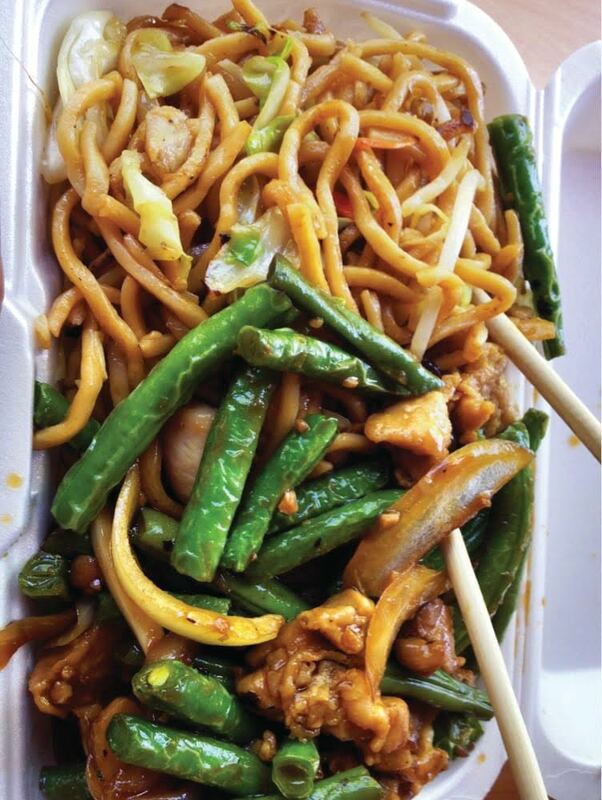 Hop Hing’s Kitchen: Great Food, Three Convenient Locations! Hop Hing’s Kitchen opened its doors in Vallejo in 1987. Ronald Reagan was the president of the United States. The movies “Good Morning Viet Nam” and “Dirty Dancing” were released. Don Mattingly, present manager of the Miami Marlins, hit a record-breaking six grand slams for the New York Yankees, and the Dusky Seaside Sparrow became extinct. Over the past 30 years, Hop Hing’s Kitchen has expanded to include two more locations in the North Bay, in Fairfield and Napa. Their food is available to eat-in or take-out, and they provide party trays for groups and special events. Hop Hing’s Kitchen is family owned and operated. Doris Gong’s parents purchased the restaurant from the original owners in 1987, and everyone pitches in to run the three restaurants as needed. Although Hop Hing’s Kitchen is a Chinese restaurant, Doris explained that the food is more of a fusion, integrating Chinese from different provinces, Thai, Vietnamese, and even Japanese. The menu is simple and easy to read and choose from, and many customers have favorite dishes that they order time and time again. The quality of the food is consistant, which entices people eat at Hop Hing’s Kitchen on a regular basis. Eighty percent of Hop Hing’s Kitchen employees have been working at the restaurants for over ten years, with little turnover. That’s always a sign that businesses are run correctly, with their customers in mind. Doris appreciates and thanks her long-standing customers for their support, and considers them friends.